Taking a nice stroll through the Farmer’s Market last Saturday, made me so happy. FINALLY, each booth is filled with fresh vegetables and berries, local honey and homemade goodies. I love it when I can get the fresh stuff to feed my family. It just makes me feel like a better mommy! 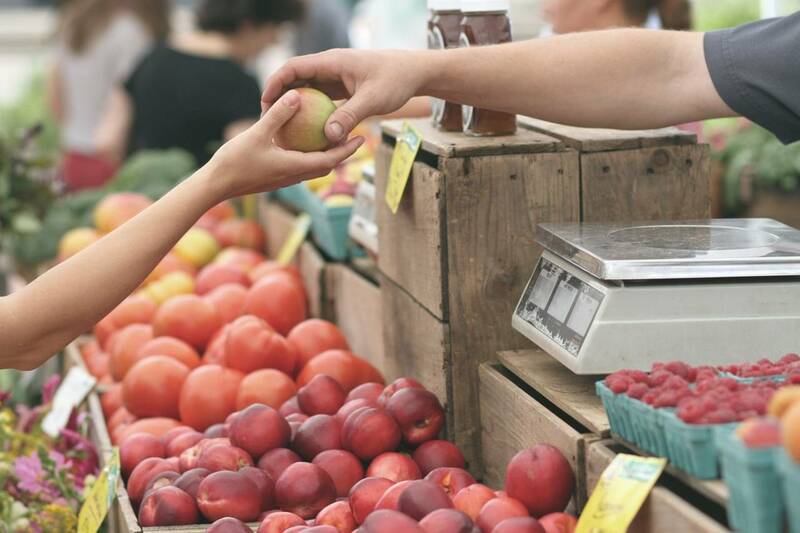 There are so many opportunities at the Farmer’s Market to enrich your children. I show my children the budget that I have to spend. We then walk through once and see what our choices are. Then we decide what we need for the week and what the money can buy us. Sometimes we can get everything we want, but sometimes we have to make a sacrifice and leave something out until next time. This teaches children a few valuable lessons. When children have a chance to be a part of the process, it communicates to them that they are valuable and are a part of our family. It also teaches them how to prioritize. It engages them in the world around them. As parents, it is so important to talk with our children and to include them in our conversations. Even the really young children in our families need to be talked to, not just talked at. You will be amazed what a child can contribute if they are just given the opportunity.